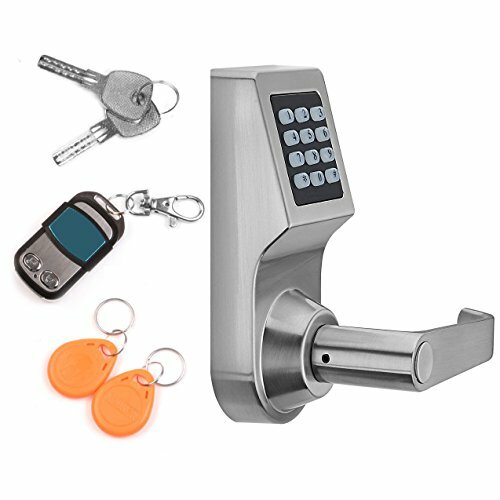 Yale Locks & Hardware YRD220NCR0BPYale’s YRD220 Real Living electronic touchscreen deadbolt lock adds a level of simplicity to home keyless entry without sacrificing any safety. 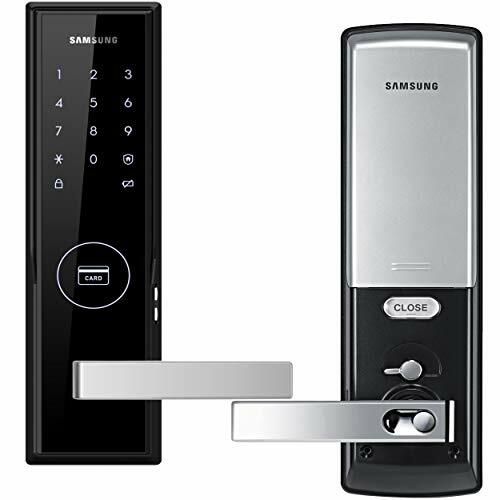 Its interactive touchscreen and voice-guided programming make this an ideal deadbolt for any homeowner looking to add extra security without extra trouble. With an interactive touchscreen that can be programmed right at the lock, Yale’s Real Living deadbolt is very easy to use and put in and even boasts voice-guided assistance. 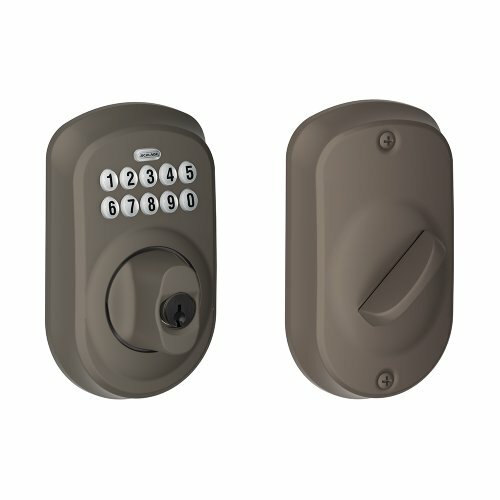 It can be installed with a screwdriver and fits in a regular deadbolt lock space. The lock’s privacy mode feature allows for locking out all users, while the auto relock function causes the deadbolt to re-lock once 30 seconds have passed, and the tamper alarm goes off when the wrong code is put in multiple times. The touchscreen is also illuminated so not a strain to use at night. The lock has 12 buttons in the pattern of a standard phone layout, and it’s a snap to set up PIN codes for new users, adding an extra level of convenience to home security. The touchscreen is weather-resistant, and the voice guide can be used with English, Spanish, or French. Yale’s Real Living deadbolt lock has a sturdy all-metal exterior escutcheon and a motorized in-and-out tapered bolt, which preserves lock functionality even if a door isn’t perfectly aligned. Due to its handy size it can go above a regular lever lock, and it needs no additional holes to be put in during installation. It has a modifiable volume so it can be set to individual preferences and a low battery warning, so there’s no worrying about security being compromised due to a lack of power. It can be used with doors that are 1-3/8 inches to 6-1/4 inches thick (1-3/8 inches with a special thin door gasket) and is available in three finishes to match distinct decors: polished brass, oil-rubbed bronze, and satin nickel. 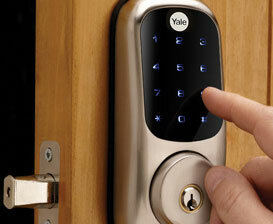 Yale is one of the oldest international brands in the world and one of the best-known names in the locking industry. The Yale history captures major innovations that have marked the evolution not just of Yale, but of the entire locking industry. Yale Locks & Hardware is recognized worldwide as a leader and innovator in the architectural hardware industry, with millions of Yale products used in over 125 countries. Backed by over 150 years of quality and customer-oriented service, Yale offers a complete selection of door hardware for residential applications, now including Yale Real Living as part of the new digital home. 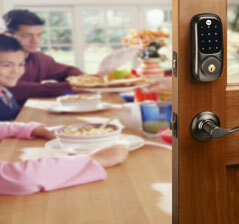 It’s keyless entry made easy. One Yale YRD220 Real Living electronic touch screen deadbolt lock, installation and programming instructions, quickstart guide, 4 AA batteries. Yale’s YRD220 Real Living electronic touchscreen deadbolt lock is easy to install, sturdy and reliable, and can handle up to 25 individual users (click each to enlarge). Upgradable for home automation features. Contact Yale for upgrade options. 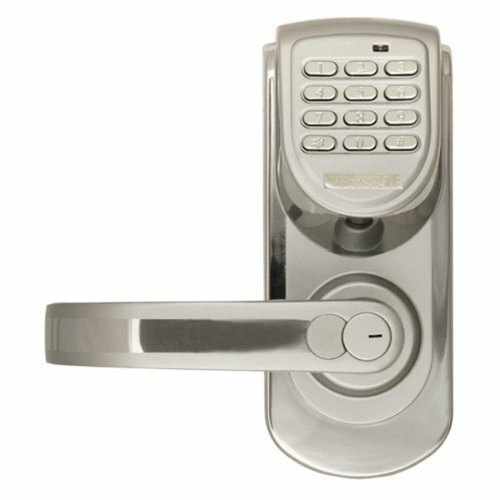 Excellent deadbolt with solid build and great looks and features. Ordered the lock and installed in September 2012, so I have had a few months to test it out. The lock I bought was the Z-Wave model, but I never installed or used the Z-Wave module so my review of the lock is more relevant to this version which identical, except they don’t ship the Z-Wave module with it, and you save about $50. I ordered and got the Satin Nickel version which appears to be identical to all Satin Nickel locks and handles out there from other companies. We shall see… Summary: I searched all over for a good electronic lock. 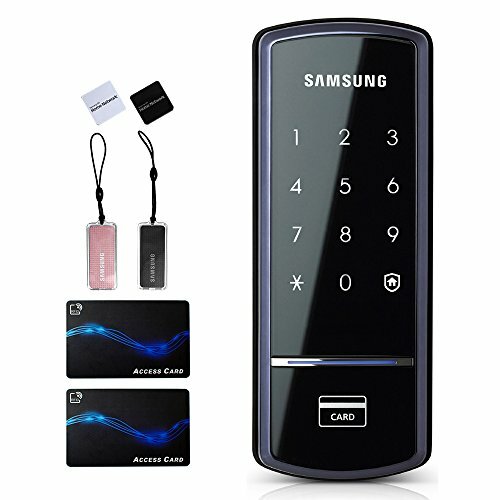 This one is the best I found – sturdy, sleek, easy to use, and secure. 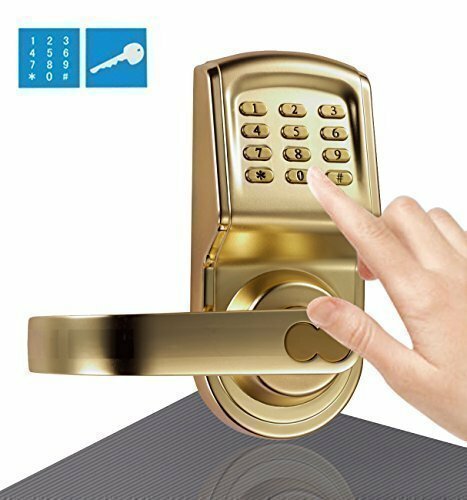 Cool digital lock but poor instructions Keyless digital locks have been available for businesses but are now coming down in cost for households. It’s great not to need to carry a physical key. Also, one is able to give someone a code over the phone. You can set it to automatically relock after a delay time, or all kinds of other flexibility which goes along with digital electronics. These gizmos will soon be replacing metal key locks.